My husband, David Paul Martin, age 74, passed away the morning of November 5, 2016 at a Hospice Facility in Las Vegas, Nevada. It all started with blood clots in early 2016… first one in his right leg, then one in his neck, then two in his left leg. Dave’s Oncologist couldn’t figure out why a 74 year-old man would suddenly start getting blood clots. She scheduled him for a colonoscopy, because he had colon cancer in 2003, and an endoscopy which they were supposed to do the same day. However, the doctor didn’t receive the orders for the endoscopy in time, so he only did the colonoscopy, which was clear. Then on September 25, 2016, Dave had a stroke and was taken to the hospital by ambulance. He was expected to make a full recovery and released, but he developed pain in his side and back which kept getting worse. He was also unable to swallow solid food. Less than a month after his stroke, he was frustrated by the pain and liquid diet. Unable to get satisfactory answers from his Primary Care Physician, he asked to be taken to the ER. He was admitted and spent eight days in the hospital where an endoscopy was finally performed, which showed a large tumor at the base of his esophagus. It turned out to be stage 4 esophageal cancer and had metastasized to his liver. We found out it was the cancer that caused the blood clots and stroke! Dave was allowed to go home to consider his treatment options. 2016, “Our last family picture,” Dave is in a white shirt and tie while the rest of us are in our grubbies because he wanted to have an obituary picture taken. We used something else, however. The blanket is covering his pajama bottoms! Feeling a sense of urgency, all seven kids arrived within three days, including our son, David, who had recently moved to St. Thomas, Virgin Islands. This was a beautiful weekend together. Despite his almost constant pain, we shared many tender moments, laughs, tears, and memories. It was also a difficult weekend because Dave decided to forgo chemotherapy which would only have limited effectiveness at best. Hospice was called a couple of days later. Dave was getting weaker, but his wish was to spend his remaining days at home. Unfortunately, hospice couldn’t give him the medication he needed to manage his pain at home, so they transported him to their care facility in Las Vegas. He never regained consciousness once they medicated him. He passed away only ten days after his diagnosis. Though this was a very difficult time, we recognized several tender mercies from the Lord. In June of 2016, despite pain from two blood clots in his leg, Dave and I made a trip to Salt Lake City to see our kids and 23 grandchildren, including Missy and her family who were there on vacation. Jeff and his family from Henderson, Nevada, also just happened to be there for his wife’s family reunion. Our son, Rob, invited us to do some temple work with him. When we agreed, he decided to open the invitation to his siblings as well. Maybe it was Rob’s offer to buy everyone lunch, but all seven of our children and all but two of their spouses joined us in the Mount Timpanogos Temple that day. Having our whole family together was such a special experience, and everyone felt the significance and joy of being together there. It just happened to be our 49th Wedding Anniversary! This is a memory I especially cherish since we didn’t make it to our 50th which would have been next month. As soon as Dave came home from the hospital after the devastating diagnosis, our son, Rob, took off work and stayed at our home for over two weeks, not leaving until after the funeral. I couldn’t have done it without him. He was a rock of strength and faith. He helped Dave with many of his physical needs which would have been difficult for me. While Dave was on his deathbed, we had a sewer flood through our house causing significant damage, both to the main floor and the basement. Rob discovered it and was there to help me bail water, trying to keep it from going into the bedroom where Dave was sleeping. Though we didn’t succeed, Dave never fully realized the extent of what had happened. Rob and some of our other children were invaluable in handling the mess and dealing with the plumber, restoration company, and insurance matters. A tender mercy Dave had in his final days is that he was visited on two occasions by his deceased parents and brother, Leonard, who was killed while serving a mission for our church in Pennsylvania. This brought him great comfort and made him feel he would be with them again when he died. Dave never became a burden. It was a pleasure to care for him. Several of our kids stayed in our home during Dave’s last few days. They took turns caring for him at night and spending time with him during the day. He was uncomfortable most of the time and in obvious pain, so it was heart wrenching to feel so helpless, but we were willing to do anything to give him even a moment of relief. His rapid decline and death were both devastating and merciful…devastating because it happened so fast and we felt cheated, hardly knowing how to prepare for or deal with our loss…merciful because he wasn’t made to suffer any longer. We all feel gratitude for the few days we had with our dear husband and father before his passing. His love of family, great example, words of wisdom, and the blessing of serving him will stay with us long after the grief has passed. Dave and Peggy were one of the first ones to welcome us to our new neighborhood in Draper, Utah in the year 1996. Our friendship grew as Peggy and I participated regularly in a line dancing class for exercise. We also enjoyed serving together in a women’s organization for our church. In 2002, they moved to a new home in Boulder City, Nevada. Fortunately, the miles between us did not break the friendship bond. I treasure the memory of a few surprise visits when they came to Utah to see their kids. They always left with an open invitation for us to come to Nevada and stay with them. Dave encouraged us by commenting their home was wheelchair accessible. I regret we never made the trip. On this Memorial Weekend, I thank Peggy for recognizing and sharing her tender mercies during such a difficult time. I cherish our friendship and appreciate that when we’re together, it doesn’t seem like years have passed. We easily pick up right where we left off! My brother gave me an article out of the Reader’s Digest, September 2015 issue, titled The Art of Offering Love and Comfort, written by David Brooks from the New York Times. I appreciated the suggestions and thought today would be a great day to share them in light of the tragic accident that happened in our neighborhood last week. “Do be there. Some people think that those who experience trauma need space. Assume the opposite. Most people need presence. The Woodiwisses say they were in awe after each tragedy by the number of people, many of whom had been mere acquaintances, but showed up and offered love. They were also disoriented by close friends who simply were not there, who were afraid or too busy. Do be a builder. The Woodiwisses distinguish between firefighters and builders. Firefighters drop everything and arrive at the moment of crisis. Builders are there for years and years, walking alongside as the victims live out in the world. Very few people are capable of performing both roles. Don’t say, ‘It’s all for the best.’ Don’t try to make sense of what has happened. Don’t over-interpret and try to make sense of the inexplicable. Some people have a tendency, especially in an achievement-oriented culture, to want to solve problems and repair brokenness. I’ve touched on the key points of the article which resonated with me. What insights do you have from your own experiences? How have you been helped or how did you help someone through a time of grief and/or affliction? Your thoughts in the comment box are appreciated. 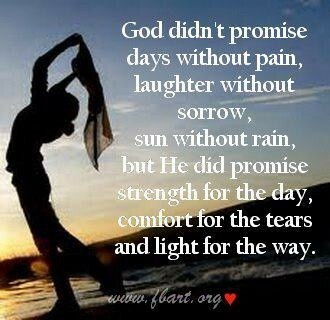 Together we can add to this list and help one another improve in offering love and comfort to those who are suffering. Connecting with someone who is dealing with tragedy or heartache can be uncomfortable, especially if our friend or family is facing something we’ve never experienced. Walls may be raised as a coping mechanism on each side. How do we gently and gracefully break through those walls? This heartfelt article made we wonder how we bring comfort and support to family and friends during heartache and trials. How do we know if we are hurting or helping another? Will our advice or opinion give direction or will they resent it? Advice at the wrong time or our choice of words can be damaging to a relationship. With these questions I searched the internet and found, How to Comfort Hurting People and I made a list of suggestions taken from http://www.net-burst.net/help/counsel.htm. Think the best of people. See them in the best possible light. People under pressure can explode at the slightest additional pressure. If you happen to add that tiny extra pressure, don’t take the explosion personally. Do not feel badly about the person or about yourself for what happened.Hold your friend in high regard and know that it is the pain talking, not the real person. Listen intently. Eye contact can reinforce the person’s awareness that you are interested in what they are saying. Be relaxed during times of silence. Perhaps give a reassuring smile or squeeze the person’s hand. Don’t feel pressured to fill the silence with chatter. Have confidence in the comforting power of simply being there. Feel their pain, be thrilled with their triumphs and enjoy their jokes. Regard tears as being as natural as breathing.Give a reassuring squeeze of the hand or by some other means show that you are relaxed about any emotion that is displayed. Assure the person tears are fitting and nothing to be ashamed of. Gently probe.Asking an occasional question shows genuine interest. By asking appropriate questions you confirm that you really want to know and that they are not imposing on you. Of course, there are people on the other extreme who feel offended if asked, so we need to try to raise these matters with gentleness and sensitivity and in a manner in which the person can easily decline to answer without embarrassment. Look for a positive twist to the situation. If every cloud has a silver lining, hunt high and low for it. With great sensitivity, ease the person’s attention in that direction. However,don’t do this in a way that could seem like a put-down, such as giving the impression that they should have seen the silver themselves, or imply they should find the positive side comforting. Leave it to them to decide if it’s the slightest compensation for the pain they are experiencing. Every person is different. What worked wonders for others, could end in disaster despite your best intentions for another. The fact that some people recover or accept a situation far quicker than others can tempt us to give up on the slower ones. Human nature is complex and every person feels and reacts differently. Keep looking for feedback and signs as to adjustments needed in your approach.Not only is every person different, people’s needs change during the course of their ordeal. For instance, when tragedies first hit, a person is often overwhelmed with visitors and attention, but this tapers off until the person is left having to cope with the opposite extreme. Also, be mindful to not over-stay. Make it obvious that you are happy to stay, but ask now and then if they would prefer to be alone for a while or if they would you like to rest now. Don’t be a know-all. Avoid anything that could possibly give the impression of putting yourself above the person. When appropriate, briefly confess you own struggles. Consider practical help, such as shopping, housework, cooking.This may be a valuable way to help. Allow yourself time out to recharge.It is both loving and wise to ensure you have guilt-free fun times. This will do much to keep you primed for doing your utmost in supporting the person. Be mindful, the person might not be in the mood for hearing you describe your fun. All of us at one time or another will experience grief and devastation. What helps you get through your heartaches? How hard was it to let others in and to accept help? Your comments are appreciated. Sometimes it’s hard to see the blessings given to us when we are in pain. These three inspiring thoughts reminded me of some I received which helped me move forward through my sorrow. Our experience with grief gives us the ability to truly empathize with another in similar circumstances. What blessings have you received or have been able to give another during sorrowful times? With the tragedy of the car accident and Mark in a coma my life felt like it had stopped. One night Dad drove me to the grocery store to pick up some essential items. It was awkward to be amongst happy and carefree people who were walking up and down the aisles, chatting with another about what they needed to make delicious meals, or what they wanted as a treat. This common environment now seemed outlandish. Weren’t these people aware of the pain and trauma that was so prevalent at the hospital just a block away? I had become used to seeing individuals filled with worry and heartache; it seemed odd to be around healthy and happy people. I felt out of place. I was grateful our children had school, homework, friends, and activities which kept them busy, yet it was difficult to support all their endeavors. Thankfully, I had family who helped. Near the last day of school there was a party for the children and parents which included dancing. I’ve always loved to dance, but now it took all the strength I could gather and to put a smile on my face a do a line dance with my child. I bounced back and forth between a world full of tragedy, pain, illness and sorrow at the hospital to another full of pleasure, comfort, good health and happiness at home. I appreciated the reprieve from the hospital, yet it made me uncomfortable. It just didn’t feel right to be away from Mark. My thirty-second birthday was six weeks after the accident. I wasn’t in the mood for celebrating, but it was a big day despite my feelings. At the hospital, Mark was lifted out of the floatation bed he was in due to a large blood clot in his right leg and strapped into a big white reclining wheelchair for the first time. His eyes were wide open with a terrified looked as they moved him from the bed. I thought he must be frightened by not having control over his body while being moved. He was upright for one hour three separate times that day, which felt like a giant step in the right direction. I even saw him move his fingers while he was sitting up, which brightened my day. I came home to a kitchen decorated with balloons, cake and happy birthday signs made by the kids. After dinner and cake we were off to Christopher’s first Pinewood Derby Race. My dad had spent hours helping him make his car. I was grateful for the time he took to support and help make this race possible for Christopher. 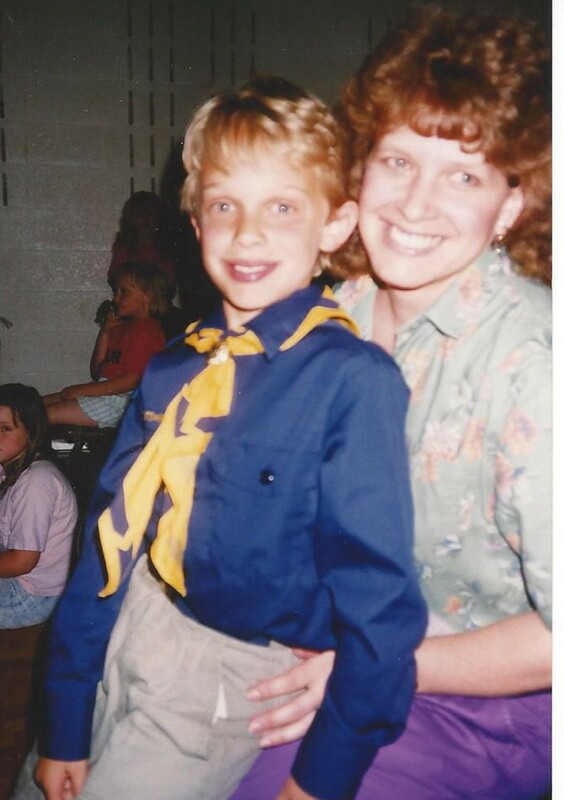 Two days before the accident Mark and I went to the Cub Scout meeting with Christopher where they passed out the pinewood box kit and talked about the race. Mark and Christopher were excited to work on the car together. While driving to Ogden that stormy tragic day, Mark told me all about the cars he’d made as a kid and how he looked forward to helping Christopher with his car. 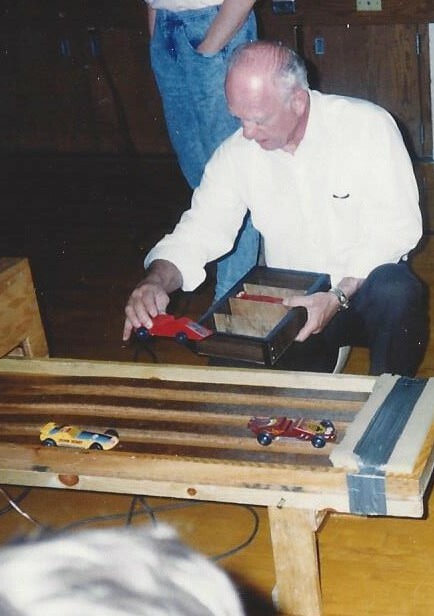 There was no doubt in my mind that Mark was as excited about this Pinewood Derby Race as our son was and the memory of our conversation hung over me like a dark cloud. I knew that if Mark was awake he’d be terribly disappointed he was missing out. Excitement filled the building as parents and children gathered for the big race. 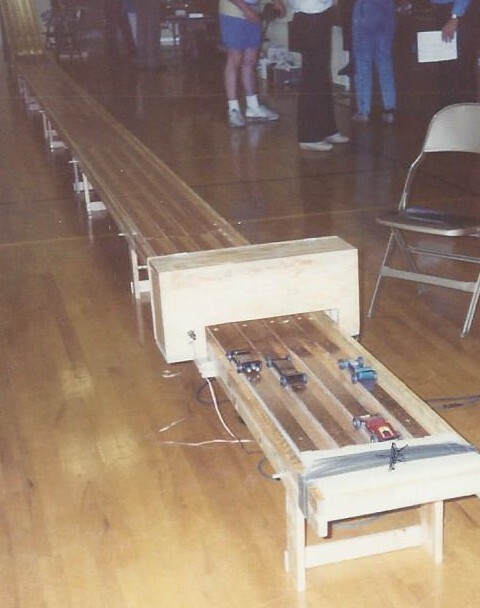 Despite the fact I was amongst family and friends, I felt as uncomfortable at the Pinewood Derby Race as I did at the grocery store or the school dance, but I knew life must go on and I didn’t want to deprive our kids of any happiness. I smiled and cheered for Christopher’s car as it zoomed down the track and beat every other car and finally took first place. I was thrilled for him, yet heart-broken for Mark. I watched Christopher get his trophy and we took smiling pictures, yet inside I was crying and I couldn’t help but wonder if Christopher was too. I was delighted that he won, yet grieving for his missing Dad. I felt torn between two different worlds causing opposites in emotions. It was a bitter sweet birthday with milestones happening in both the worlds I was living in. It was also the day I realized that no matter where I was life must go on. Once again he wins the race. All bragging set aside. The red car wins by a landslide. My favorite part of the pinewood derby experience is the next time Christopher saw his dad after the race, he took his prize car and trophy to the hospital and gave them to him. The car and trophy stayed on the nightstand next to Mark’s bed during the many months of his next recovery stage at the rehab hospital. When Mark came home from the rehab hospital, I asked Christopher if he wanted to keep the car and trophy in his room now. 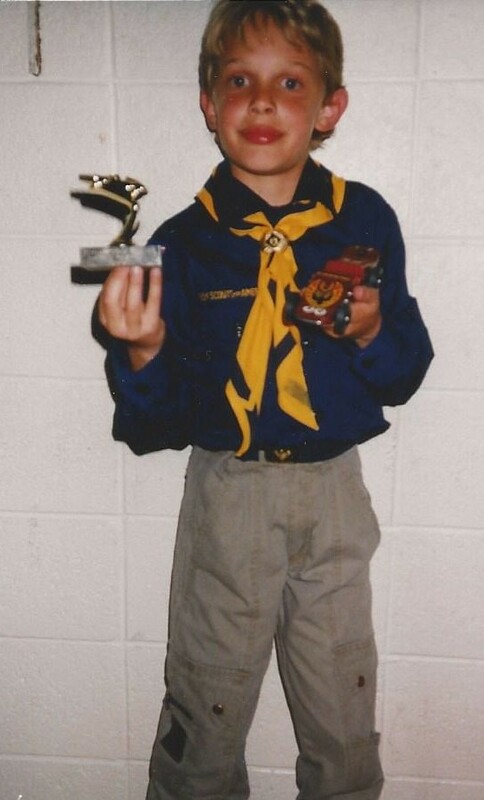 He said, “No, I gave them to Dad.” To this day, nearly twenty-four years later, the car and trophy are still on the nightstand next to Mark’s bed. This token of love from a remarkable eight-year-old boy is still appreciated and the memory of it will be cherished forever. Shortly after the dreaded phone calls, my brother, Don, and sister, Rosanne, arrived at the hospital carrying a folding chaise lounge. Always thinking ahead and being the protective big sister, Rosanne came prepared with something for me to sleep on if needed. Appreciating how lucky I am to have all my family live close by me and able to rearrange their Saturday evening plans to be with me, I felt loved, supported and secure with them uniting around me. We got permission for all seven of us to go into Mark’s room together that evening. Tears were shed by each family member at the sight of a young man, who at the beginning of the day was full of life and excitement for a new job and the adventure of moving to a different city. Now he lay comatose, entangled in tubes that were connected to the equipment keeping him alive. Dad and my three brothers laid their hands on Mark’s head and gave him a blessing. Dad’s words were soothing and the spirit I felt was calming. I remember many of the words spoken, but most vividly I recall the love, concern and the comfort I felt. With Mark’s rotating bed stilled for the blessing, the pumping noises of the other equipment and strange I.C.U. smells seemed to disappear from the room. In the midst of my darkest hours arose tender mercies. Surrounded by my family, the room became my sanctuary. McKay-Dee Hospital was wonderful to us. They offered a room for us to sleep in at the Ronald McDonald House close by the hospital. My parents and I stayed in a room with a queen size bed and recliner chair. With my broken collarbone I couldn’t breathe lying down anyway so I slept in the recliner. My sister took back her chaise lounge realizing we had adequate sleeping arrangements and my siblings went home for the evening. Like a wild fire, the word was spreading, leaving a painful scorch on all of our loved one’s hearts. The next day, being Sunday, many neighbors, friends, cousins, aunts and uncles gathered at the hospital. They were not allowed in the Intensive Care Unit so they shared their love and support with me in the waiting room. Mark’s Mom and Uncle Glynn flew in from Arkansas on Monday and his sister’s, Karen and Jerrie, flew in from Washington. They stayed a few days at the Ronald McDonald house with us. I was in awe at the number of people who came. Each person’s love and support lifted me up and added light to my days. They helped bring me out of the dark and deep hole I had fallen into, which gave me purpose and encouragement to move on and look upward. I thought Mark would want me to go to his new employer, Robertson Electric, personally to let them know about the car accident and his condition. Dad and Steve went to the junkyard on Sunday to retrieve Mark’s tools and clipboard from the car. I looked in the clipboard to find his time card and the address of the office. Early Monday morning Dad drove me there and I met Mark’s employer for the first time. I explained that due to Mark’s condition, I didn’t know when he would be back to this new job he was so excited about. Mr. Robertson was kind and compassionate about the situation and told me not to worry. The job would still be there whenever Mark was well enough to work. I handed him Mark’s clipboard and he told me if there was anything he could do to help not to hesitate to call. For the next several weeks they called the hospital to check on Mark’s condition and sent him flowers. The critical twenty-four hours turned into forty-eight and then seventy-two. As the days turned into weeks, my family devised a plan to encourage and enable me to go home on weeknights to be with our children, Christopher and Katie. Each brother and my brother-in-law, Klint, took an assigned night Monday through Thursday to stay overnight with Mark. They drove over sixty miles to go to the hospital right after work and in the morning they’d drive right back to their various workplaces. After I got the kids off to school, Mom would drive me to the hospital. She spent nearly every day there with me and then drove me home in the afternoon. Friday through Sunday I spent the days and nights there alone with Mark while the kids stayed at my parent’s home. Sunday Mom and Dad would bring the kids to the hospital for a visit then Sunday night, Dad stayed with Mark while Mom drove the kids and I home. Without a car and because of my broken collarbone I wasn’t able to drive for six weeks so I was totally dependent on my parents for transportation. Every family member pitched in to help me as well as the children through this strenuous time. Friends and extended family drove many miles to see us while others flew from places too far to drive. People from different churches prayed for us. I felt the love and support of many and learned how caring and kind even strangers are. “You raised me up: to more than I can be” and I am forever grateful for you. I love animals and know that much comfort comes from pets. I’ve seen service dogs make a big difference in a person’s life. Mark used to work with a lady who had advanced cerebral palsy. She had a service dog with a small dog size backpack that carried her lunch and other supplies for her. A few years ago, I was at a conference for family and professionals of traumatic brain injury and was sitting next to a man in a power wheelchair and his two dogs. During the lecture he leaned over and asked me to get the door for him. His dogs were warning him a seizure was coming and he needed to leave the room. I asked if there was anything more I could do. “The dogs will take care of me,” he said. After the class I walked out of the room and noticed the man lying on the floor sleeping, while the dogs sat by him on guard. Last fall our neighbors smart dog warned his owners that Mark was going down the steep hill in his manual wheelchair. His continued barking towards the hill alerted them and they ran to help Mark. We are grateful for Cooper’s great sense of trouble. Dogs not only make great companions, they are wonderful helpmates. I hope you enjoy this touching story.